After chasing trains all over Pisa and Florence the day before, we were happy to be taking a guided tour of Rome. 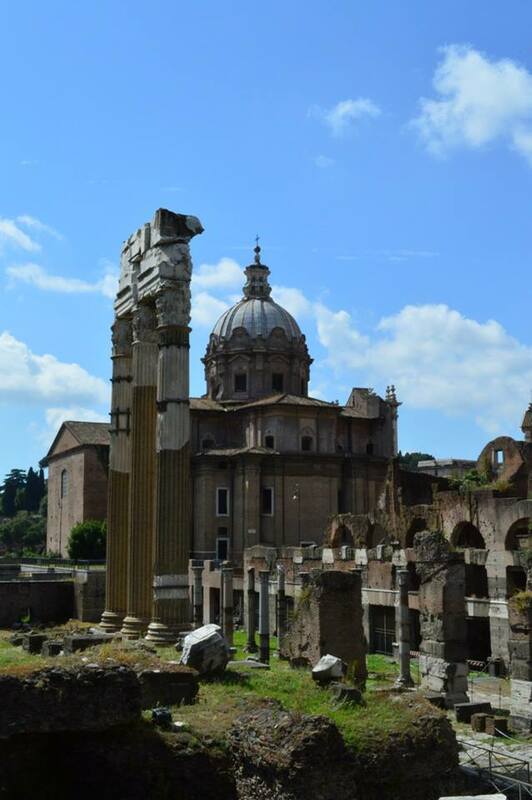 We met up with our group in Civitavecchia and took the hour and a half bus ride into Rome. We had our first real Italian coffee at a stop on the way in. Our guide, Giovanni, told us about the different kinds of coffee and what he would pay for each—and told us not to pay more than he would even though we were tourists. We got a cappuccino that was perfectly sweet and strong and I think I’m going to have to invest in an espresso machine now that I’m always craving all the good coffee we had overseas. Once our bus arrived in the city we picked up our second guide, Valentina. We needed two guides: one to do the talking and the other to protect us from the Roman moped drivers. No kidding. 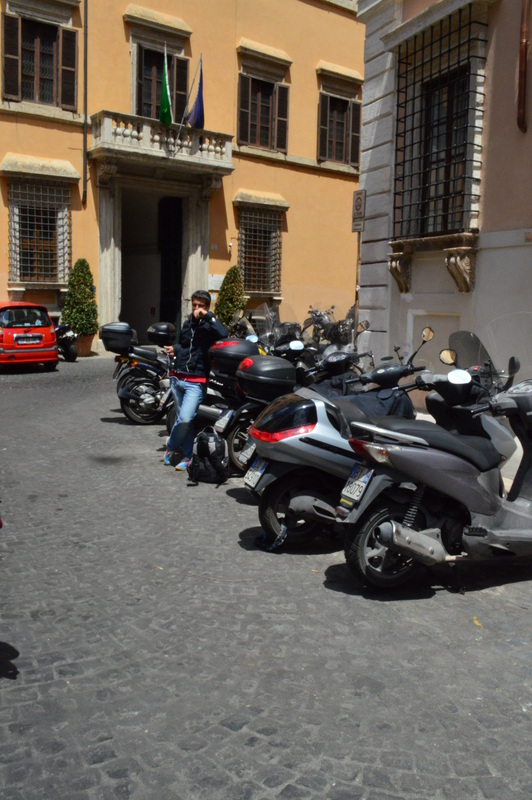 There are about 15 gazillion mopeds in Rome and most of them are trying to run over tourists. I mean, I don’t blame them…it must be kind of annoying when a whole mob of foreigners are trying to cross the street together and are walking really slowly snapping pictures while traffic gets backed up…but let’s be kind and not smoosh each other into the pavement, okay? Okay. I don’t think Giovanni got paid enough to walk out in the middle of the busy streets with his back to the traffic just so we could cross alive…but it was nice of him either way. 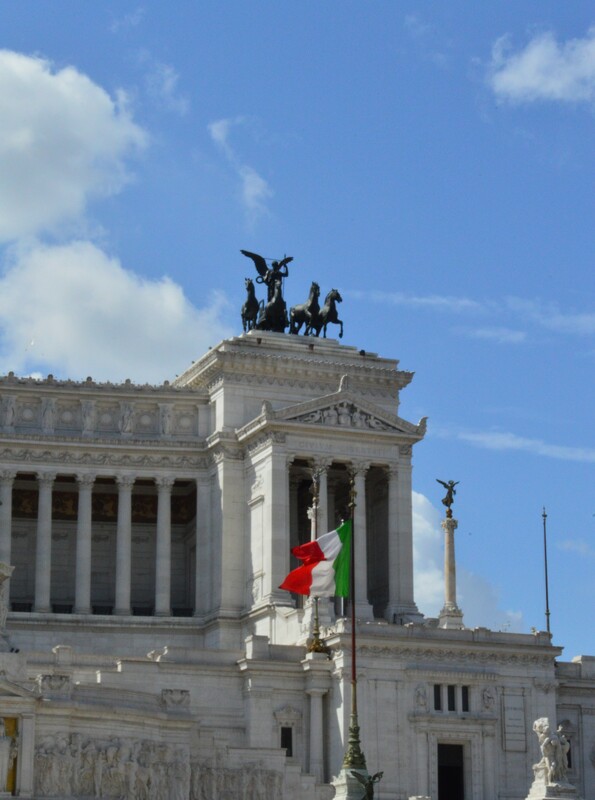 Traffic aside, Rome is majestic. Every time you turn around there’s something else to see. It’s incredible to stop and think of the history this city has seen and still has written all over it today. Rome is alive. Many of the places we went felt a little touristy and contrived—like they used to be something but are now used only to relive distant memories of a place that once was. 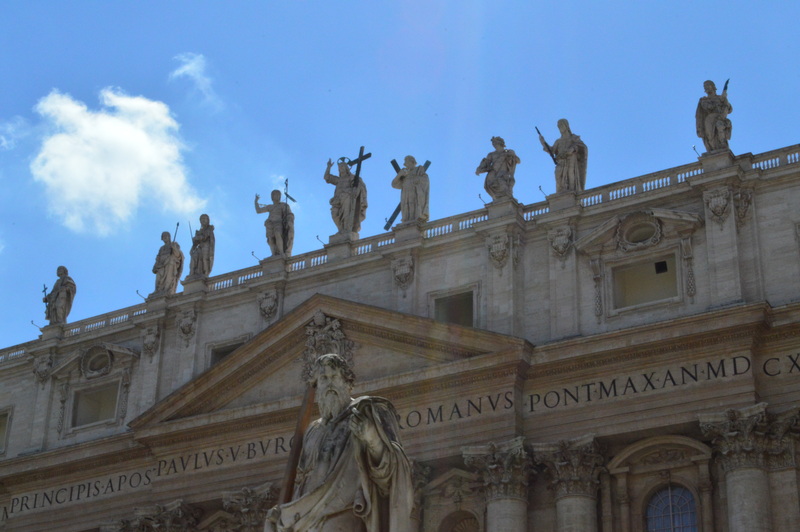 Rome isn’t like that at all; it’s vibrant and bustling with both the people who live there and the tourists who travel great lengths to see it. 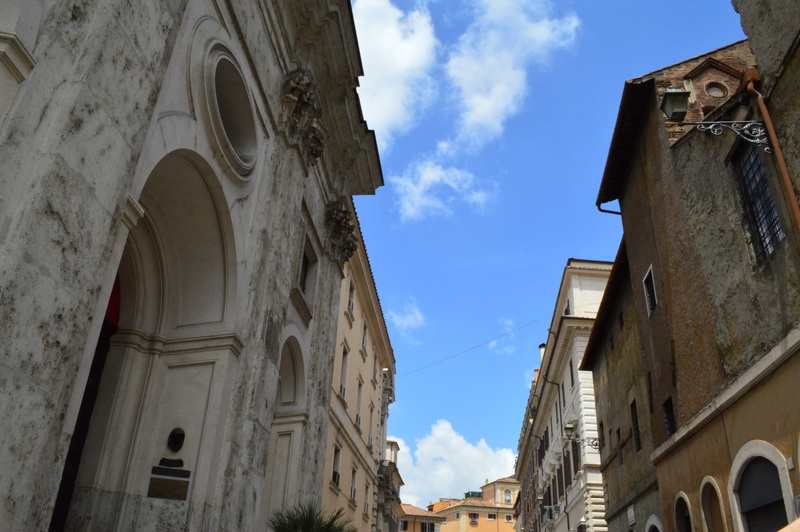 We wound through one perfectly picturesque street after another and added our footsteps to the story Rome tells. 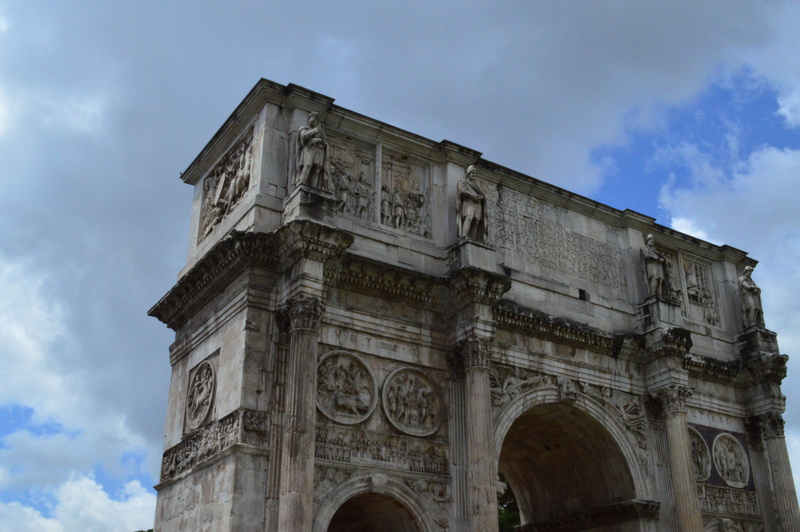 We went by the Tiber River and walked around the Arch of Titus and all through the Colosseum—and jeez, I thought my head was going to explode from sensory overload. After all that we walked to St. Peter’s Basilica and if the church wasn’t impressive enough, we got to see Michelangelo’s Pietà. 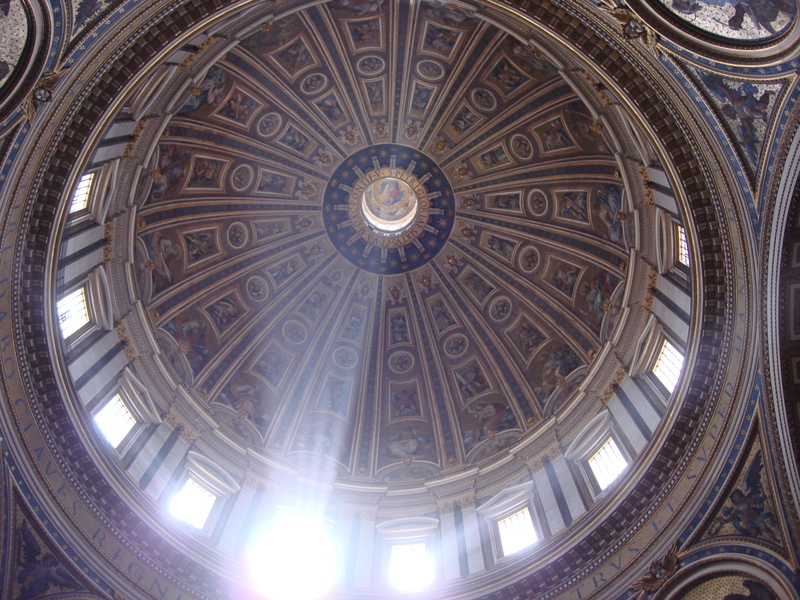 The whole time I was standing there looking at it I was thinking, holy cow, Michelangelo did this when he was 23. I’m 27 and I’m still a loser. Oh well. 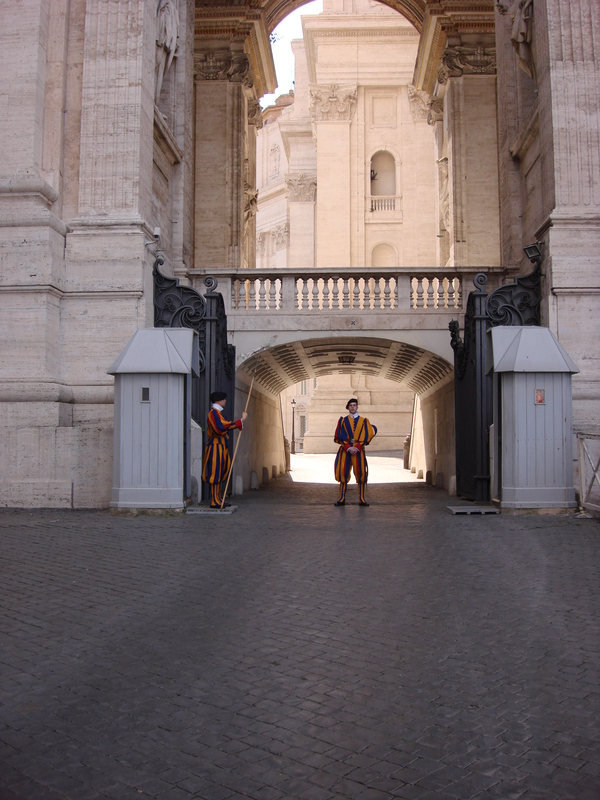 The Swiss Guards who protect the Pope. Nice pants, boys. 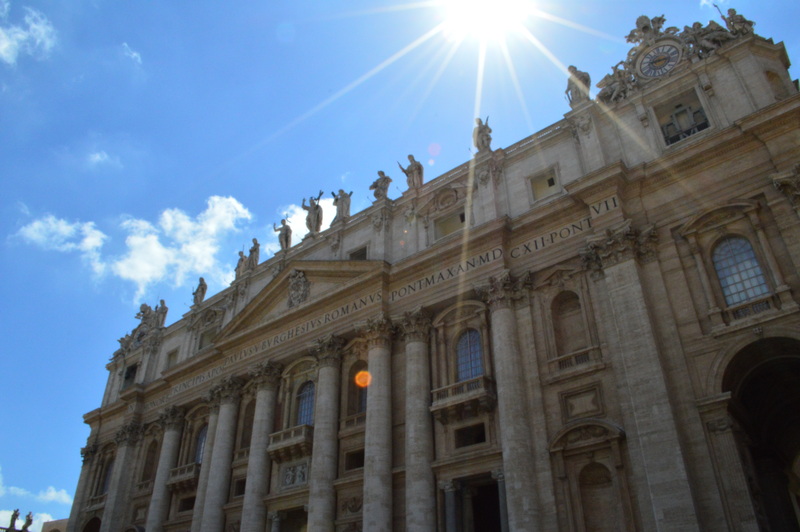 Our day in Rome was one of my absolute favorites. There’s just no place like it, so busy and alive and full of history too. 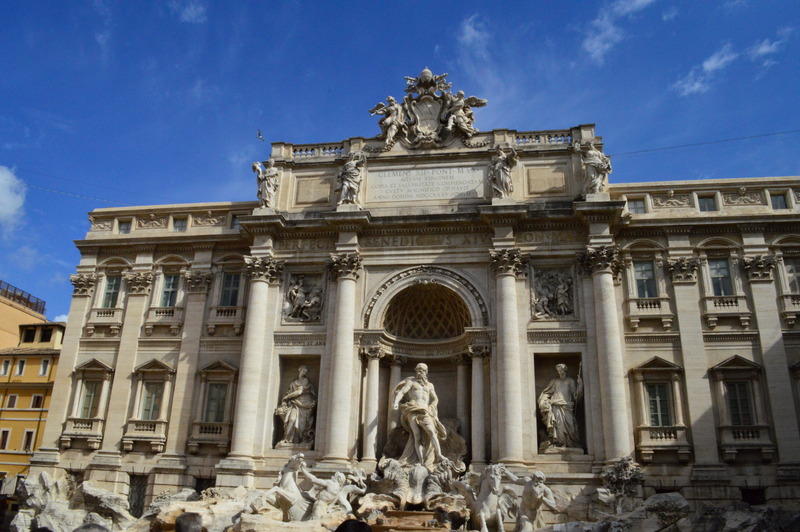 I hope my coin in the Trevi Fountain works because I would love to go back someday. I picked up a little toy Vespa while we were over there to remind me of the crazy Italian drivers and the busy Roman streets filled with people living and breathing and adding their footsteps to the pages of the Eternal City. 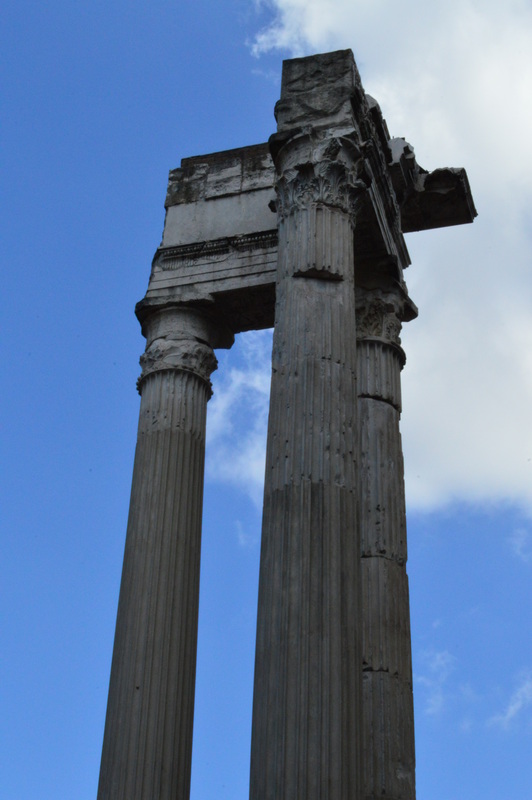 Next we were off to Naples, Pompeii, and the Amalfi Coast. If you missed the earlier posts in this series about Europe, check them out here: Barcelona, Spain; Marseilles, France; Florence and Pisa. A very enjoyable post. And nice pictures. 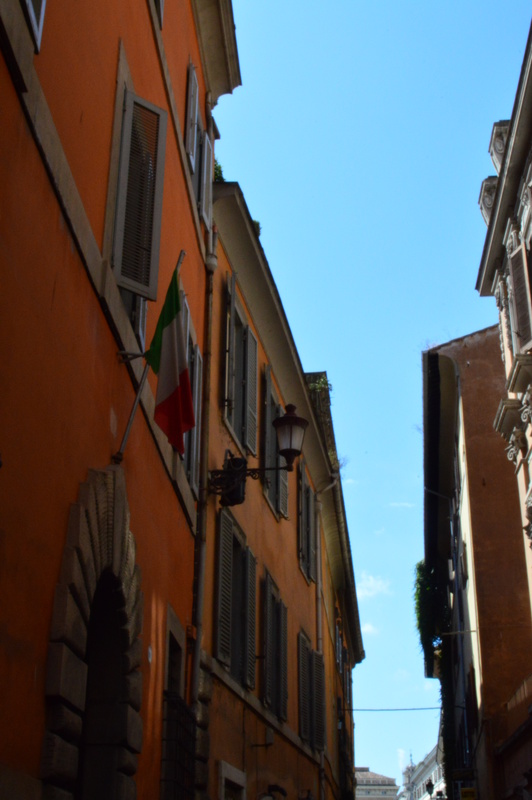 It’s not just the mopeds in Rome, cars take shortcuts, running over the sidewalk, and everyone does what he feels like. It can get nerve wracking. 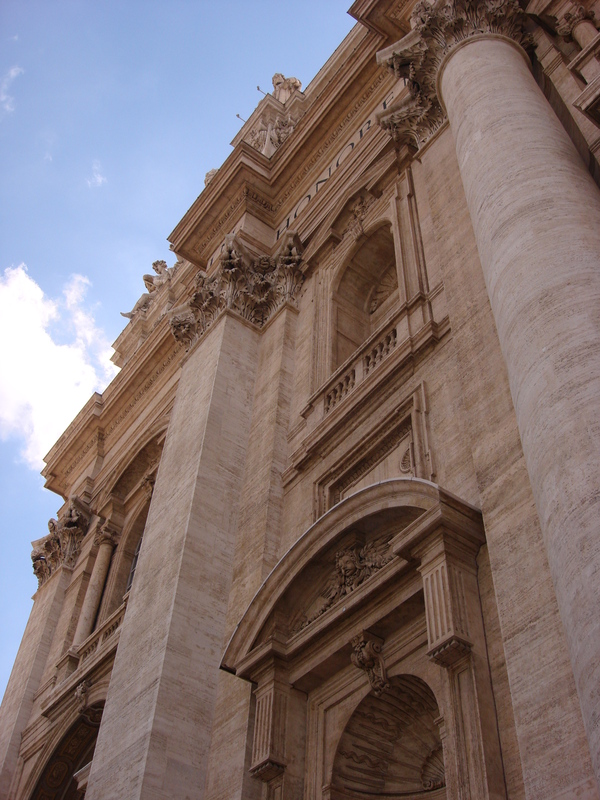 But I always enjoyed visiting Rome. I have a picture of cars parked all over the sidewalk…they really do park whenever and wherever they feel like. But I guess all the cars and mopeds add to the buzz and life of the city. 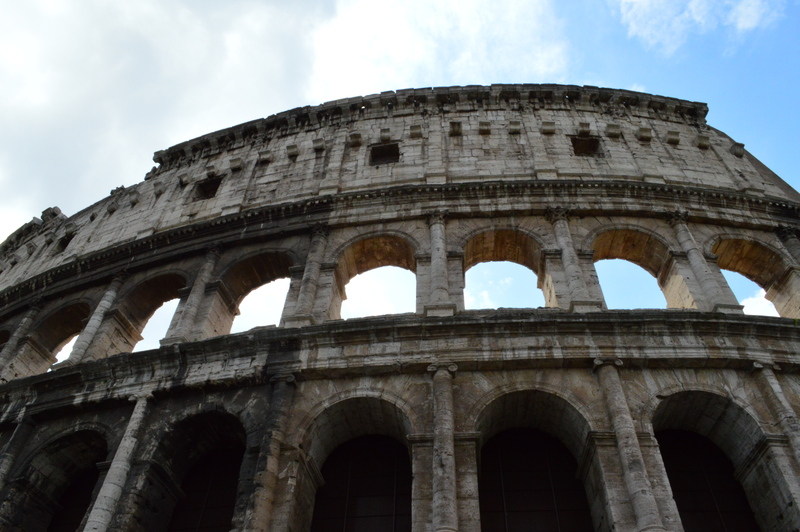 We really loved Rome even though it’s wild and hectic. Omg I love love love Rome. We last went I’m September and it was epic! Everything is so BIG! And so old. I can’t even comprehend how long all that stuff has been there for. They were building a stage thing at one end of the Circus Maximus while we were there. Is it finished now? Did you see it? It is a lot to take in so I totally understand! It’s hard to comprehend how long everything has been there for. 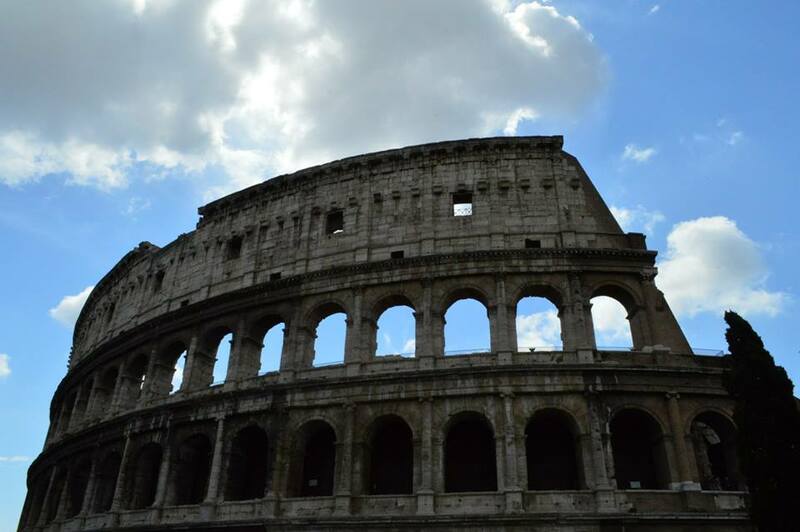 I love Europe and Rome especailly. 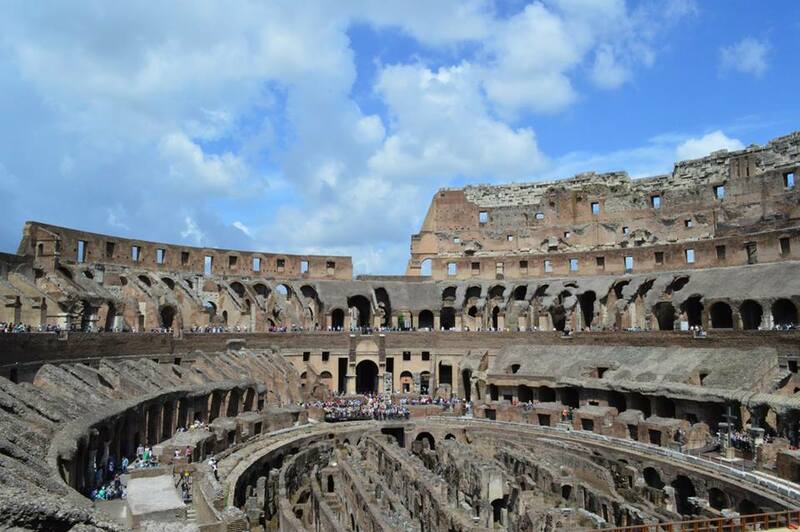 I studied Roman Art and Architecture as an elective in university and when I was overwhelmed with work and assignments my husband promised we would go one day. We went in 2009 and I LOVE it. 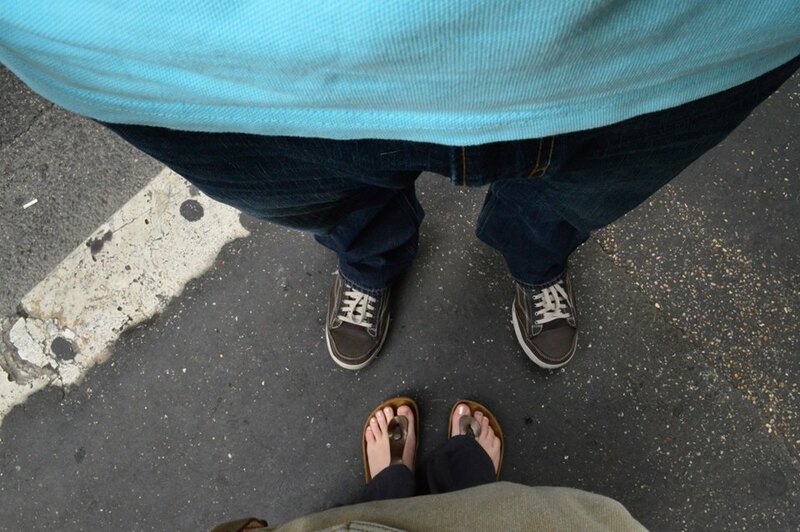 Your photos make me want to go back. It has such an energy and beauty – old and new. Thanks for sharing … lovely photos too. Rome was definitely the most unique and energetic city we visited. Looking back through all the pictures and writing about it makes me miss it so much more. It is a place you can go again and again. I have been 3 times, but the last trip was the best since we stayed there for 8 days and not a few passing days on a tour. It gave us a chance to see so much… but still not enough!